Jeff Deutsch went from a $150k gross/$50k net every month as a black hat SEO spammer to become a content-marketing focused, white hat inbound marketer for a startup in Beijing. As a father, it's just more stable for him. Jeff became notable in the marketing community after he wrote a viral article, Confessions of a Google Spammer, on inbound.org. He discusses what led to the demise of his black hat SEO wealth, what good SEO looks like today, and how content & storytelling play a big ... See More role in successful online marketing. 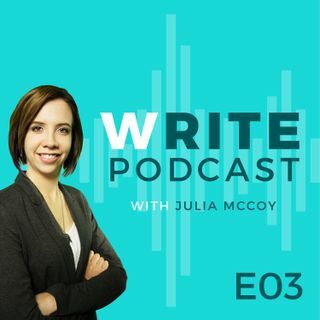 See more: expresswriters.com/writepodcast. Follow Julia's Write Blog at: expresswriters.com/blog.